Milly is his wife of many years. and later her ability to speak. a number of hours each day. “Parkinson’s disease has kidnapped my wife. may bear some similarity to that of Morton and Milly. someone who doesn’t deserve this. 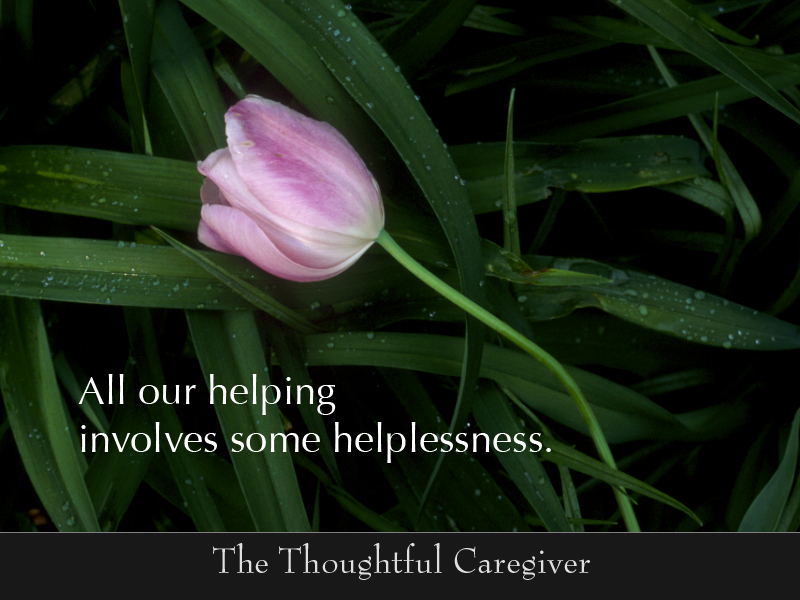 we also experience helplessness firsthand. We cannot undo what has been done. We cannot take away the other’s pain. We cannot make everything right. noticeably less overwhelming, less tragic. 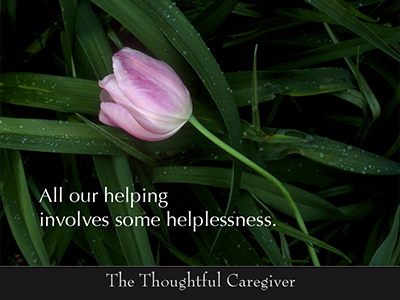 As caregivers, much lies beyond our control. to begin making our peace with it. for the other, for ourselves, and even for the world at large. This entry was posted on July 9, 2007 at 3:27 pm and is filed under Caregiving & Feelings, Caregiving Lessons. You can follow any responses to this entry through the RSS 2.0 feed. You can leave a response, or trackback from your own site.